How do I make my article unique? As you add content to your article, Article Insights will compare what you have written to content in already knows about on the internet. 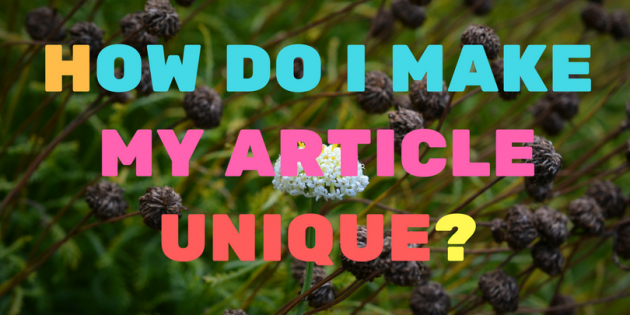 Doing this it can calculate how unique your article is. 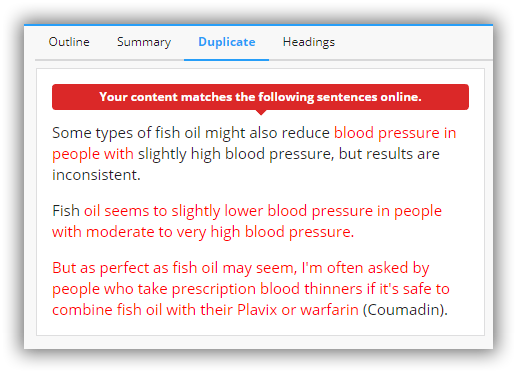 Any content that matches its known list of sentences will be highlighted in the duplicate tab. The sentence online is displayed and the words highlighted in red, are the same ones that currently exist in your article. The uniqueness checking uses groups of 4 words. If you re-write or change every 4th word in a sentence Article Insights will consider it unique to the original sentence.